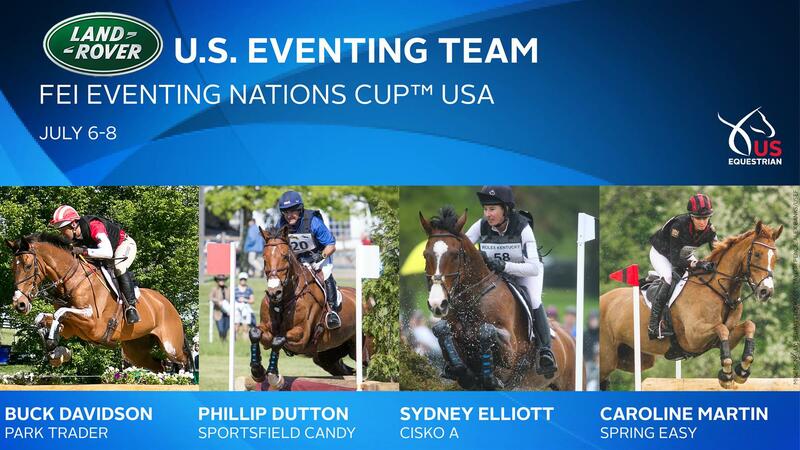 Lexington, Ky. – US Equestrian has announced the combinations that will compete on the Land Rover U.S. Eventing Team for the FEI Eventing Nations Cup™ USA at the Brook Ledge Great Meadow International presented by Adequan® and the FEI Eventing Nations Cup CICO3* Aachen. 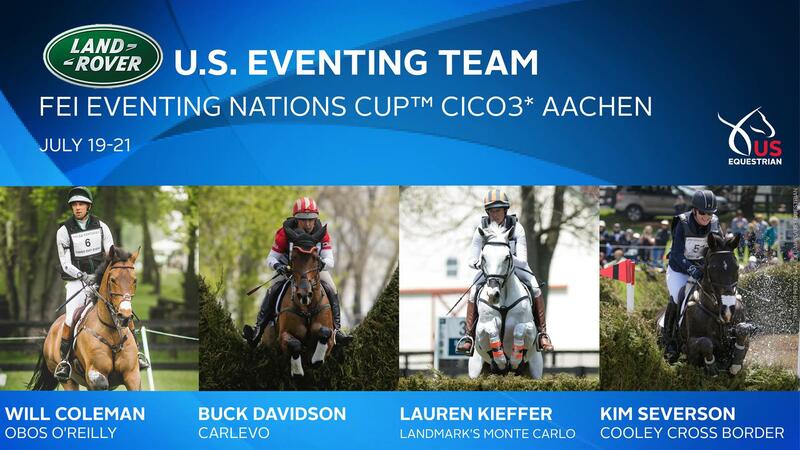 The FEI Eventing Nations Cup USA takes place Friday, July 6, through Sunday, July 8, at Great Meadow in The Plains, Va., and FEI Eventing Nations Cup CICO3* Aachen takes place Thursday, July 19, through Saturday, July 21, at the World Equestrian Festival CHIO Aachen in Germany. Both teams will compete under the direction of U.S. Eventing Chef d’Equipe Erik Duvander. Caroline Martin and Spring Easy will serve as the reserve combination. Find out more about the Brook Ledge Great Meadow International presented by Adequan and CHIO Aachen. Stay up to date on U.S. Eventing by following US Equestrian on Facebook, Twitter and Instagram, and follow USA Eventing on Facebook. Use #USAEventing.